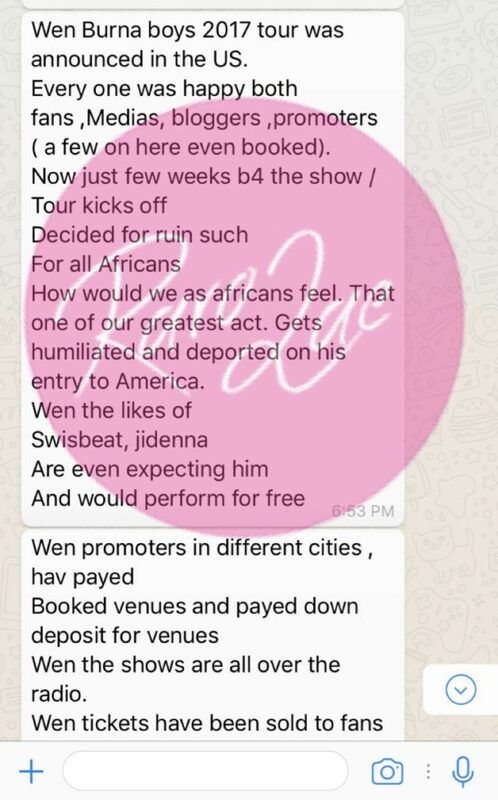 Following the news of Burnaboy, being banned from performing in the US due to his issues with a New York-based promoter who alleges that the singer breached their contract, the Pree Me, crooner, has come out to respond to the said claims. 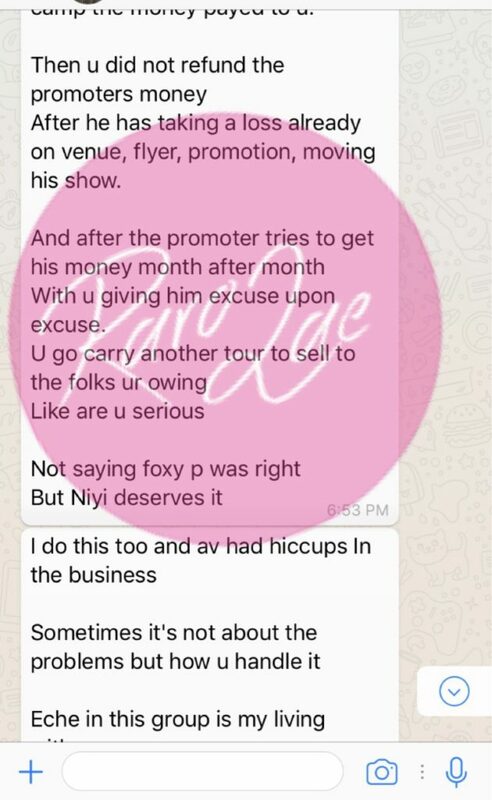 “…on allegations that he signed a contract for 2016 USA & CANADA TOUR, failed to turn up, postposned the tour which put the promoter Vibesland Entertainment, LLC in serious debt in USA. 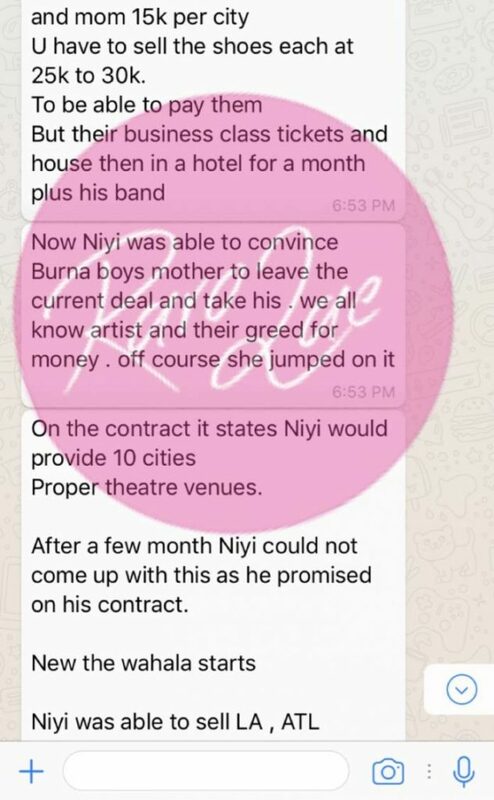 It was also revealed that the said promoter had extended an even longer arm of reconciliation by travelling down to London, so they could sort the issues out but Burnaboy failed to meet with him. 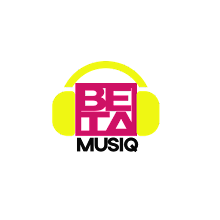 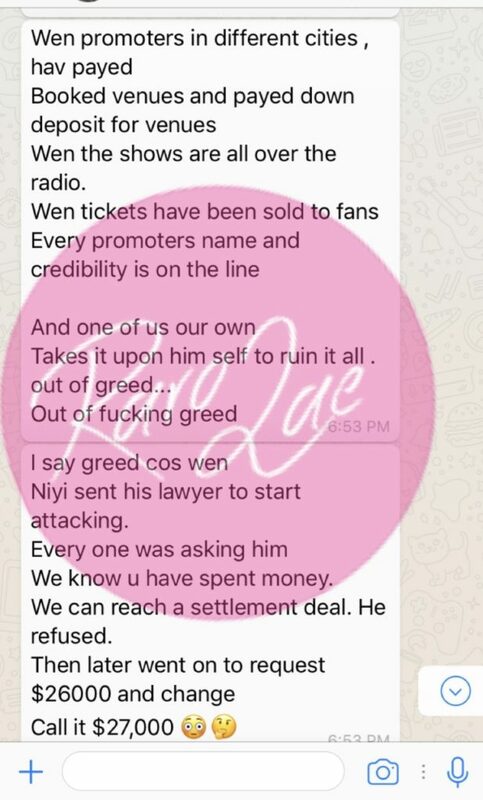 This was the reason due to the damages accumulated – that the promoter got an injunction banning the singer from performing in the U.S. and Canada, until all issues are resolved. 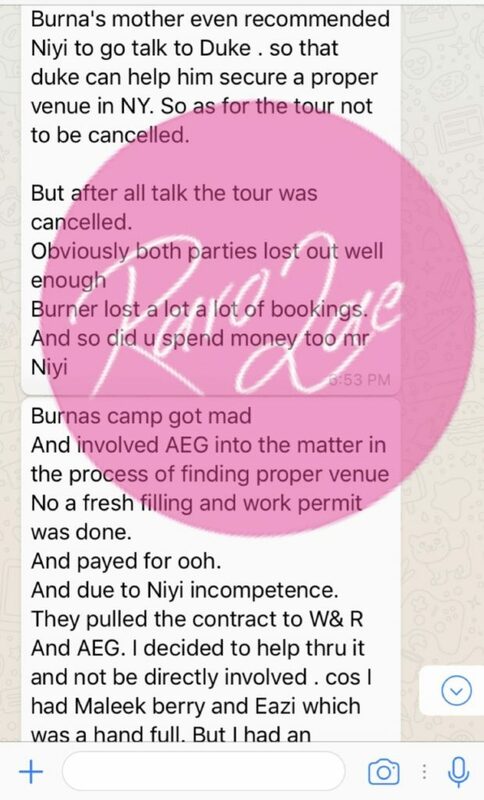 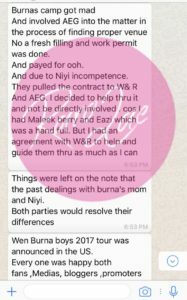 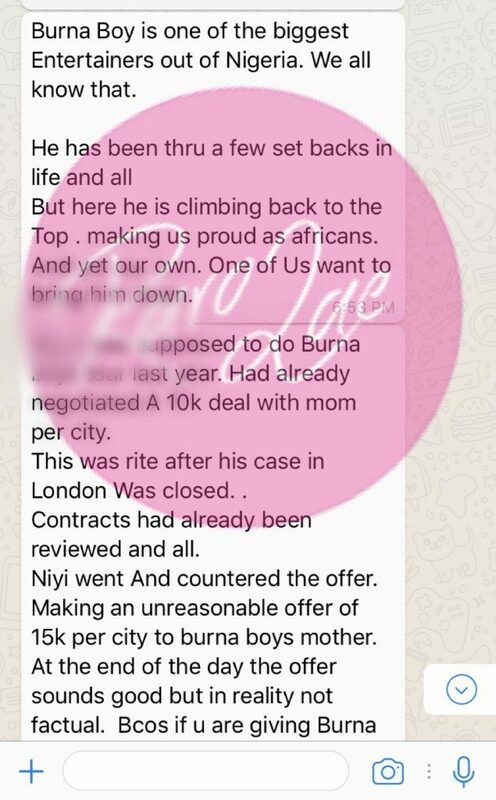 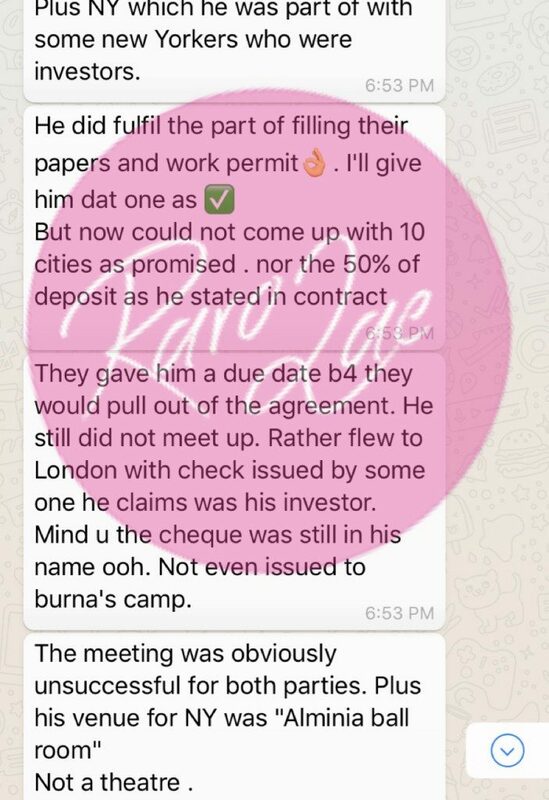 Burnaboy’s team also released a statement and phone conversation between them and the promoter. 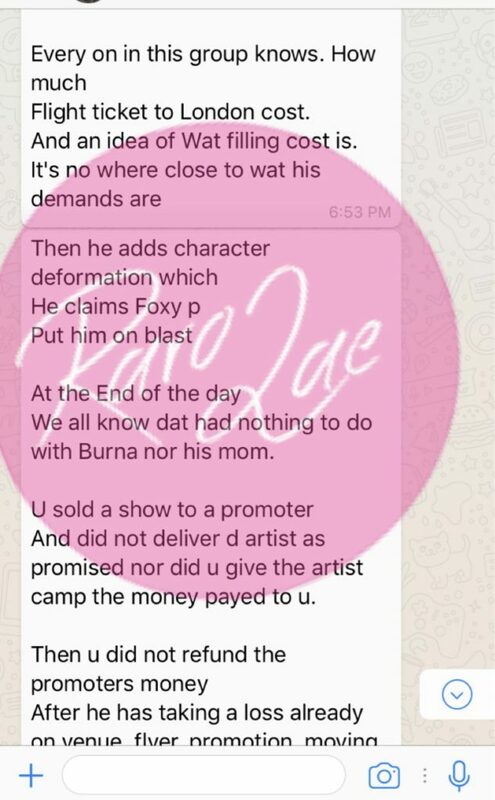 “Burna Boy fans and the general public are hereby informed that Burna’s current US tour and all upcoming shows are going forward as scheduled and that any website or article containing information to the contrary is patently false and misleading. Vibesland Entertainment, LLC, Burna’s former promoter, has initiated a misinformation campaign designed to mislead the public about recent court proceedings in the New York federal and state courts. 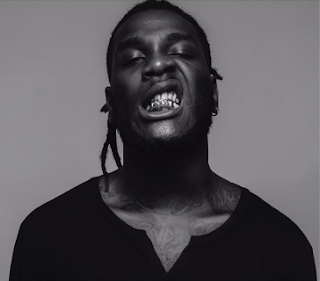 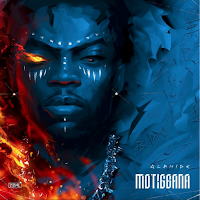 In a recent press release Vibesland has dishonestly represented that it has received an injunction barring Burna from playing his upcoming shows.